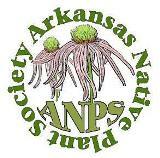 The purpose of the Arkansas Native Plant Society (ANPS) Small Grant program is to provide funding for projects that advance the objectives of the ANPS. Applications are accepted from schools, land trusts and other non-profit organizations, and private entities that are located in Arkansas and for projects that promote awareness and education of the native plants of the state to the public. Grant requests awarded in the recent past include native plant gardens at public schools and other education centers, invasive plant eradication efforts, and habitat restoration projects. Grant requests of $500 or less can be approved by the board without membership approval and so there is no application deadline for grants of this amount. Grant requests greater than $500 must first be approved by the board and then presented to the membership for their approval. The membership meets during bi-annual state meetings, which are held in spring and fall of each year. The deadline to apply for a grant request of more than $500 is April 1 for consideration at the spring meeting and September 1 for consideration at the fall meeting. The ANPS President will inform you of the board’s decision via email. If the grant involves donating money to a project (such as purchasing a tract of land), the Treasurer will mail the approved funds to you. If the grant involves purchasing plants and other materials for a project, you will need to purchase the items and then forward the receipts to the President, who will verify both the receipts and completion of the project and direct the Treasurer to mail you a check for the approved amount. Funds must be spent and receipts submitted within one year of the grant’s approval. The location of the project will be in a public place. The project area will have recognizable boundaries to distinguish it from its surroundings. The project will be planned to include only Arkansas native plants within the boundaries. The completed project will display an ANPS-provided sign recognizing the donation. Awardees of a small grant will prepare a report to share with the ANPS membership at the state meeting or in Claytonia following completion of the project that was awarded. Questions about the ANPS Small Grant program or the application process should be directed to the current ANPS President (for a list of current ANPS officers, please visit https://anps.org/about-2/officers/).